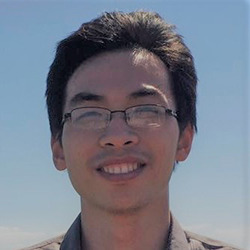 Dr. Nie has been with Apple since July of 2016 working as a radio frequency engineer tackling issues related to multi-antenna systems. As technology has advanced, so has demand. Integrating multiple antennas into mobile devices should theoretically increase data throughput, but applying such technology has proven difficult. Dr. Nie helped develop new bounds for multi-antenna systems that are leading to increased throughput and faster wireless communications, according to the Marconi Society. "Ding is the kind of person that you can let loose on a problem with little guidance and he comes up with very original ideas for solutions," said Dr. Bertrand Hochwald, Nie's doctoral advisor at the University of Notre Dame. "He made a big advance in solving an open problem by coming up with new results that let us apply Bode-Fano bounds to multi-antenna systems"
Other honorees include Dr. Di Che, a Member of Technical Staff at Nokia Bell Labs, Qurrat-Ul-Ain Nadeem, a doctoral candidate at King Abdullah University of Science and Technology, and Rajalakshmi Nandakumar, a doctoral candidate at the University of Washington. All four are being honored by the Marconi Society, an organization dedicated to "furthering scientific achievements in communications and the Internet." Each will receive their awards at the Society's annual awards ceremony on Oct. 2, 2018, in Bologna, Italy.